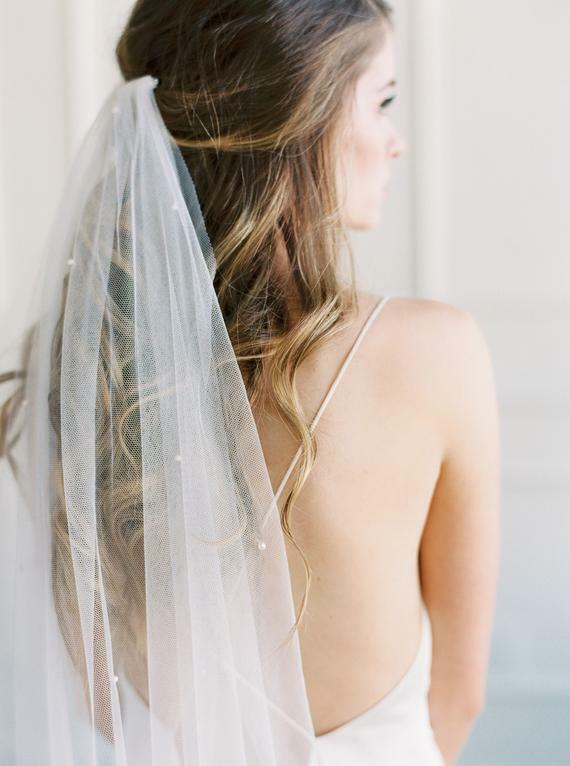 A wedding veil has the power to pull your entire look together and is a component that definitely deserves some attention. For example, if you are wearing a simple understated dress, then a veil could have a special lace or detail element that could elevate the whole look! When dress shopping, be sure to try on veils with the dress to find the right length and style for your bridal look. We’ve rounded up some of our favorites to share with you! Don’t let this accessory be an afterthought since it has the ability to complete your outfit! Etsy has some beautiful handmade unique veils at a variety of prices!